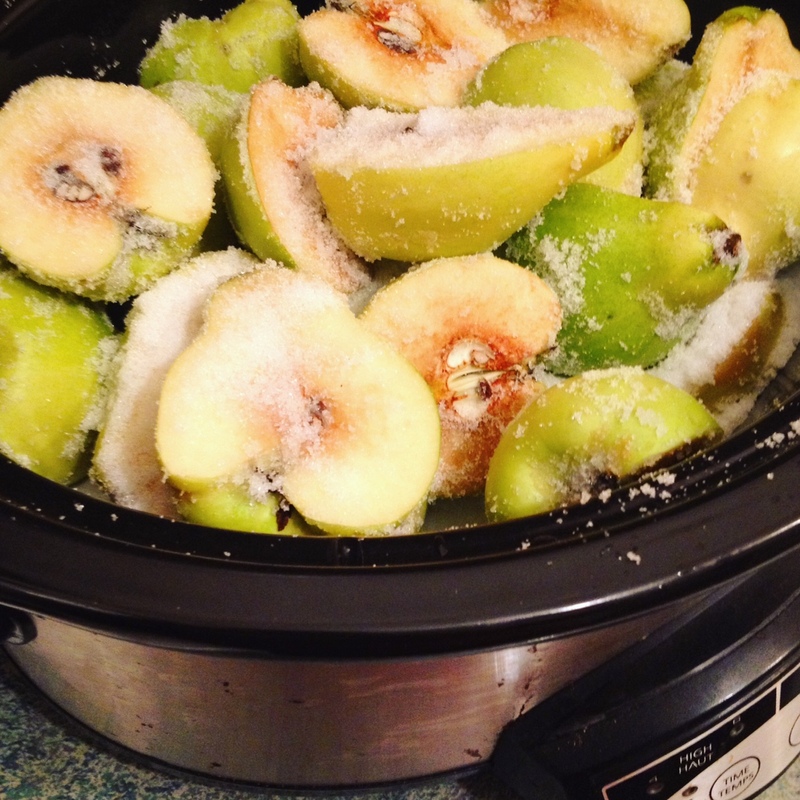 Crock pot membrillo (quince paste). My friend Eileen bought a cute little house on a country road and planted quince trees. Perhaps not anticipating how prolific the trees would be, or how heavy the fruit, she planted four of them, four different varieties, and then recently took to Facebook to advertise the couple of hundred pounds of fruit she was looking to get rid of. For CHEAP. 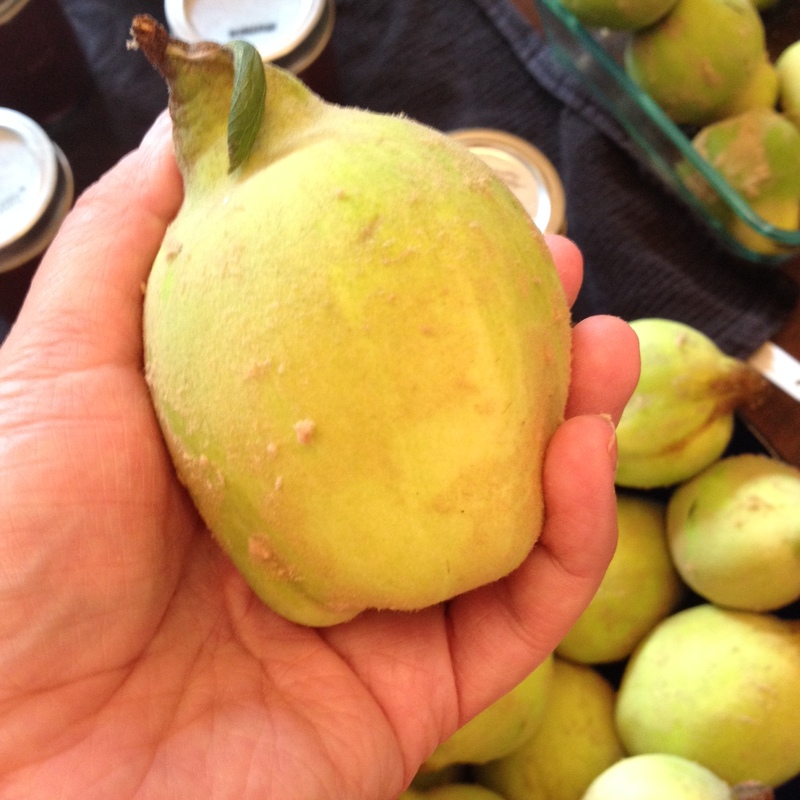 Quince is a very dense apple-pear-type thing, and you have to cook it – it’s inedible raw. It’s got a musky, almost floral taste – a little rosy, a little appley, a little bit something else. It has a firm core that’s hard to cut through, and fuzz on its skin you have to wash off. If you’re in North America, you’re mostly relegated to getting it through friends, from abandoned orchards, or some Farmer’s Markets (if you are very lucky). It is very high in pectin. 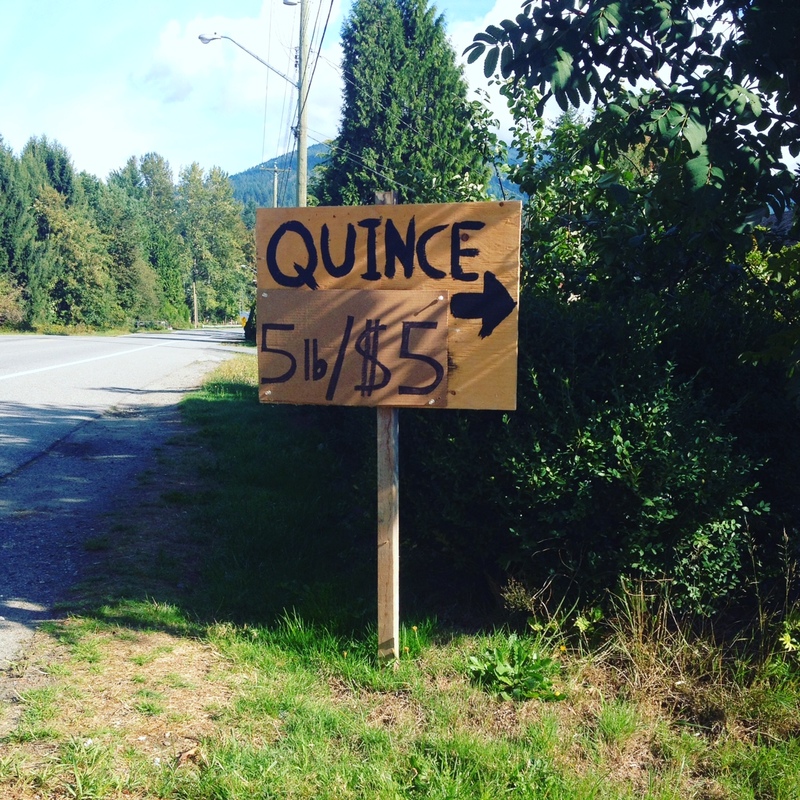 Years ago, I got my hands on a few pounds of quince for something like $7 per pound. The market only had maybe ten pounds of them for the whole season, and because scarcity makes me irrational I bought as many as I could afford and then hoarded the jam I made out of them until a bunch of jars of it went bad in the back of my fridge when someone else opened and forgot about them. The worst thing about marriage is when the other person lets your jam go bad without telling you. Just lets it happen. It’s still so hard to believe. 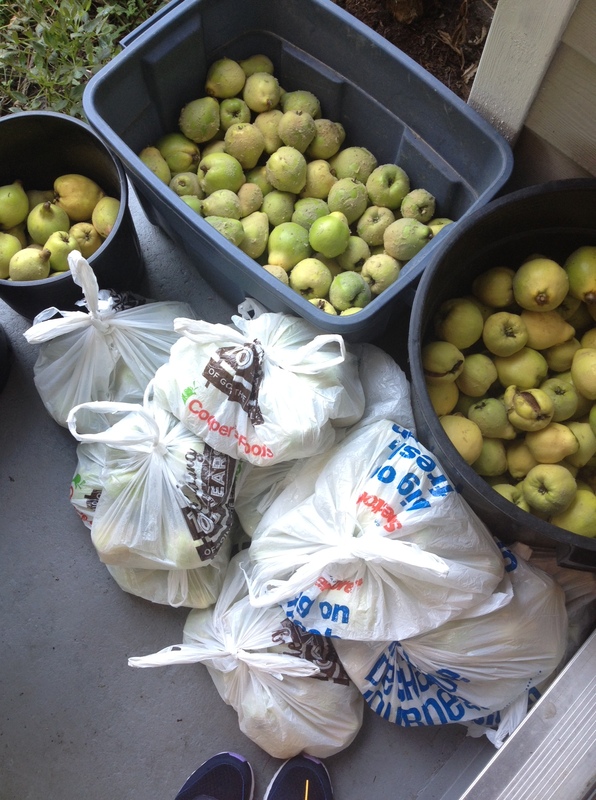 This time, with Eileen’s quinces, I was no less greedy but the price was much better and I was better prepared. Also, many of them were still green, and so they’ve been ripening in batches, four or five pounds at a time, and so I’ve been processing them at a leisurely pace, putting up a few here and a few there and barely breaking a sweat. This is, in part, thanks to my trusty old Crock Pot. The very best use for quince is a jammy paste the Spanish serve with cheese at breakfast and at tapas. It’s called membrillo, and it’s thick and sticky and garnet-red, and the process for making it is pretty straightforward but also quite time-consuming. I don’t have one million hours to peel and core and stir and stir and stir. Even if I did, I am profoundly lazy and as such, am always looking for the easier way of doing something. The standard membrillo recipe calls for, at minimum, a ratio of two pounds quince to one pound sugar. You can add spices like cinnamon or vanilla, or strips of lemon peel, but you don’t have to. If you were to make this on the stove, you would peel and core the quinces, add water, and cook until quinces are tender. Then you would puree them. Then you would cook them and their liquid down until a thick paste formed. Hours upon hours would pass, and this might satisfy a younger version of yourself but not this version, with her arthritic hands and arms and ill temper. Shortcuts. Let’s take the easy way out. For this particular shortcut, your best bet is a slow-cooker and a food mill fitted with your finest grinding disk. No food mill? A fine-mesh sieve will also work, but it will be a lot more work. First, wash and halve your quince. For whatever weight of quince you prepare, add half the amount of sugar by weight. So, if you have five pounds of quince, use two and one-half pounds of sugar. Pour this over, and toss to coat fruit. Slam your slow cooker lid down on the thing, set the cooker to low, and let ten hours pass. Overnight is nice. Your place will smell so good in the morning. 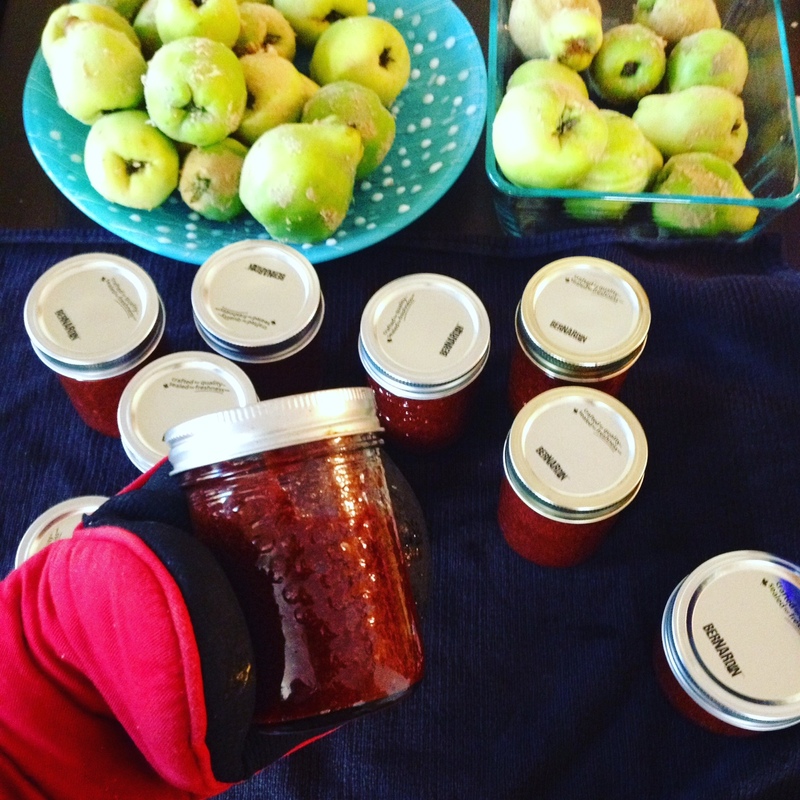 Get your canning stuff ready, if you plan to can. You can also freeze it. The quince will start out yellow-peeled and white-fleshed, and by morning will have turned a winy kind of red. Working a couple of pieces at a time, process your quince halves through the food mill into a large non-reactive pot, such as a Dutch oven. Strain any remaining liquid into the pot as well, and turn your burner on to medium. Cook until the paste has thickened and the mush appears to pull away from the the sides of the pot as you stir; the texture and consistency will be somewhat like apple butter; same idea, really. How long this takes depends on how much liquid remains in your slow-cooker; you will likely cook the paste down on the stove, stirring occasionally, for an additional 20 to 60 minutes. Some varieties of quince, like pineapple quince, may release more liquid and take longer to cook down. The colour will be a very dark red you might have a hard time believing at first. Spoon quince paste into sterilized jars, run a knife around the edges to remove any large air pockets, and process for 20 minutes. I started with about five pounds of quince, and ended up with just over two quarts of finished paste. Serve on bits of bread with creamy goat’s cheese, or with an aged, nutty cheese like Manchego. Definitely have wine with it. The good stuff, the kind that comes in a bottle. And definitely invite a friend to share it, maybe one you don’t see very often, like your friend Eileen.